Everyone besides Menadelook recovered or is recovering. Some still have stomach pain and weakness, people close to him said. Menadelook died in Anchorage on Jan. 15. “It hit him pretty fast," said his fiancee, Anne Marie Ozenna. She said she did not eat the flipper, and did not get sick. Alaska has more cases of foodborne botulism than other states, according to the Centers for Disease Control and Prevention. Twenty-four people died and more than 350 fell ill from botulism in Alaska between 1950 and 2017, the agency says. That’s about one death every three years. The last death from botulism in Alaska occurred in 2014, Castrodale said. The bacteria can incubate in some traditional Alaska Native foods, including seal oil, dried unsalted fish and aged delicacies such as fermented fish heads, sometimes called “stinky heads." Fermented marine mammal parts such as beluga flipper are also sources, the CDC said. The toxin can cause muscle paralysis within hours or days, with symptoms including slurred speech, difficulty swallowing and breathing, dry mouth and weakness. Menadelook had safely prepared the beluga flipper many times before, aging the food in a cardboard box to allow air circulation, people close to him said. They said other foods served at the dinner included walrus stew and baked fish. “We got tired of turkey and ham, so we made Eskimo food for dinner, and had family over," Ozenna said. Menadelook was a power plant operator, school maintenance man and village public safety officer as a younger man in the village of Diomede, home to about 100. He successfully landed two bowhead whales during his life to help feed the village. In 1999, he captained a six-member crew in a walrus-skin boat, taking the village’s first bowhead in more than six decades, the Anchorage Daily News reported that spring. ''For something like this, you have to be patient,'' Menadelook, then 35, was quoted as saying. Menadelook was the lead maintenance man for Bering Straits Regional Housing Authority when he died. 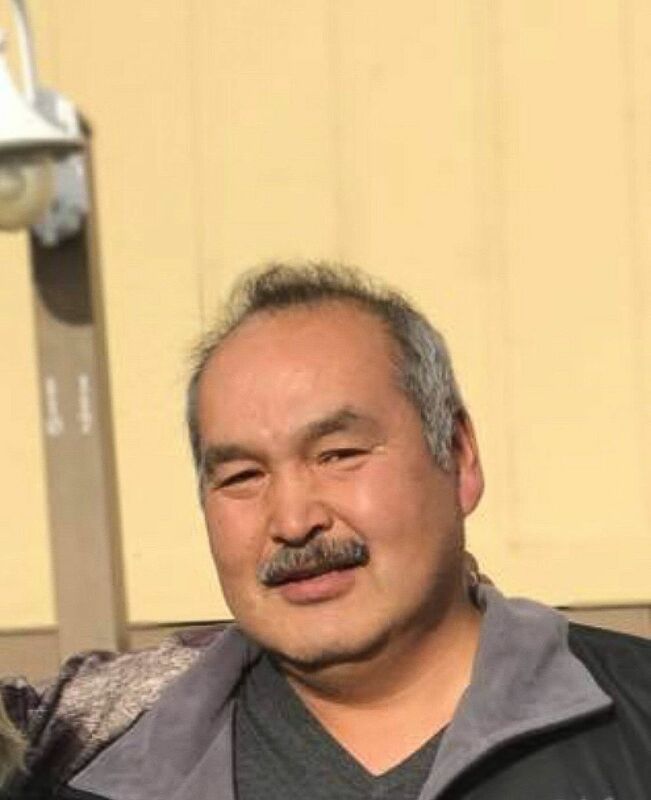 “He was hard-working, thoughtful, giving, loving,” Ozenna said of Menadelook, who would share subsistence-caught foods with relatives and friends. Menadelook’s body was flown in a casket to Little Diomede by helicopter Wednesday. The island no longer has a winter airstrip because the warming climate has softened sea ice that once served as the runway. Menadelook was put to rest above ground on a steep, rocky hillside. His body will be moved higher once winter ends and the heavy casket can be carried safely, said his younger sister, Etta Ahkinga, who lives in Anchorage but traveled to Nome and Diomede for services. The island is too rocky for burials. Ahkinga said the family is concerned the beluga whale could have been dead for too long before it was harvested, possibly causing the illness. The whale was caught by a relative in a subsistence net near Nome. “We don’t know how long it was dead, floating in the water,” she said. 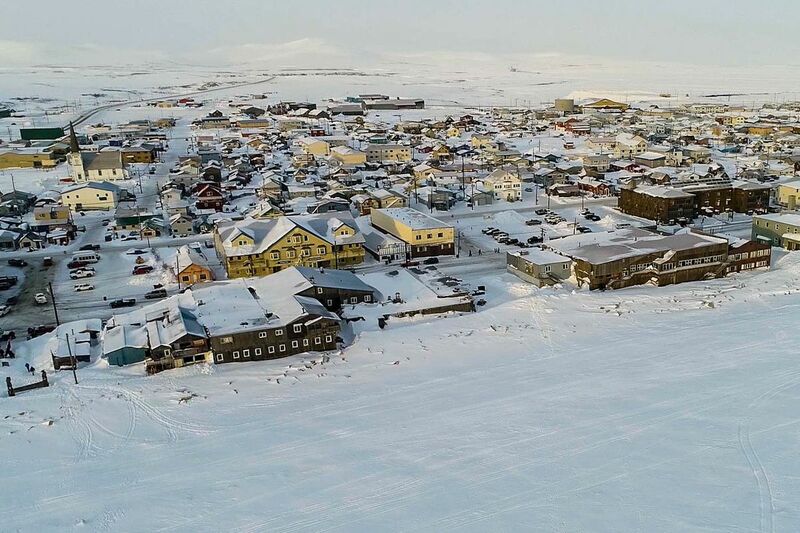 The village of Diomede is devastated, she said. She said the family is grateful for efforts of staff at the Alaska Native Medical Center to save her brother.